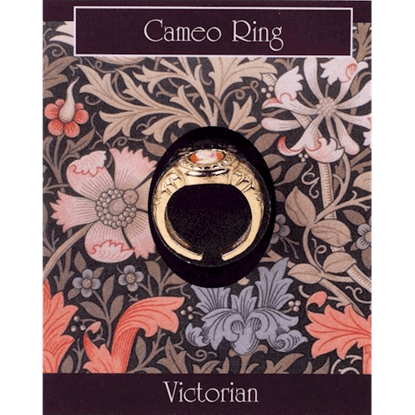 The cameo was popular during the Victorian age, and it is depicted nicely on this Gold Plated Cameo Ring. 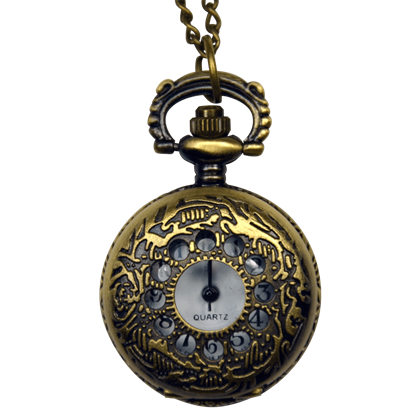 The accessory comes attached to a full-color information card that features historical information on Victorian era jewelry. Modeled after the jewelry of the Victorian age, this Gold Plated Victorian Ring would have been a common sight on even middle class citizens. 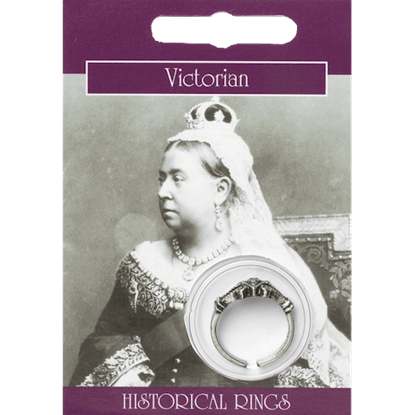 This ring comes in a blister pack, attached to a card with information about Queen Victoria. 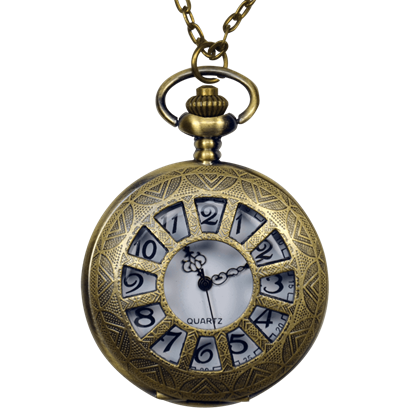 Jewelry underwent many changes during Queen Victorias lifetime. 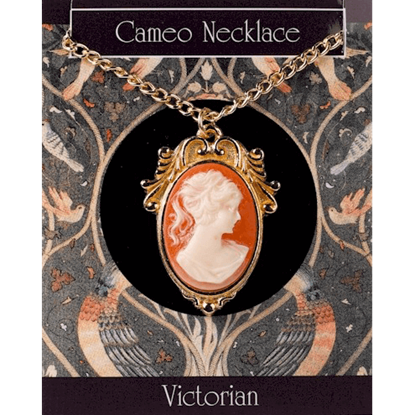 Some styles of jewelry that arose became timeless classics, like this impressive Large Gold Plated Cameo Necklace. Other styles came and went as quickly as the wind. 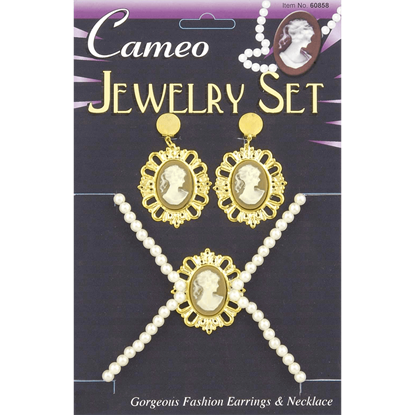 During Queen Victorias lifetime, jewelry underwent many changes. Some styles were tasteless and did not last a season, while others, like this Miniature Gold Plated Cameo Necklace, were timeless, in that they never went out of style. 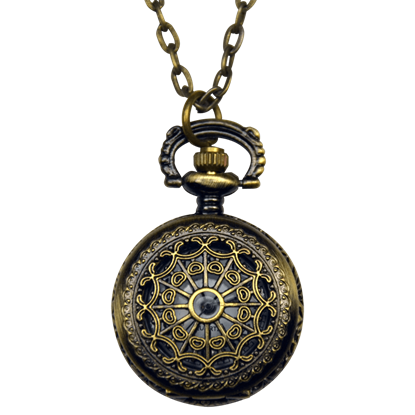 During Queen Victorias lifetime, jewelry underwent many changes. 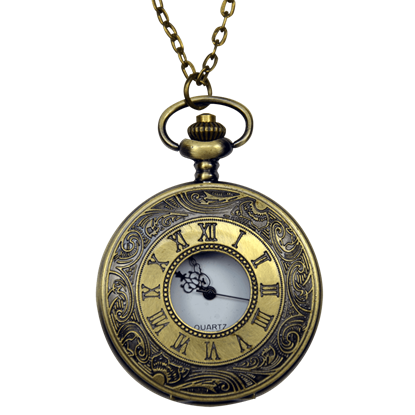 Some styles were tasteless and did not last a season, while others, like this Miniature Pewter Cameo Necklace, were timeless, in that they never went out of style. 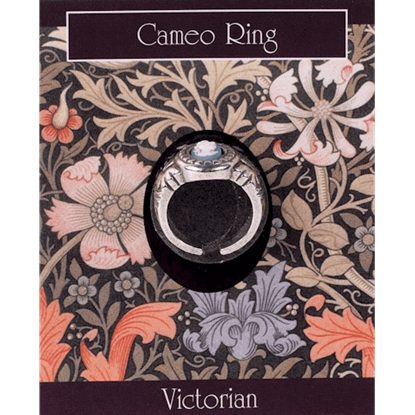 The cameo was popular during the Victorian age, and it is depicted quite nicely on this Pewter Cameo Ring. 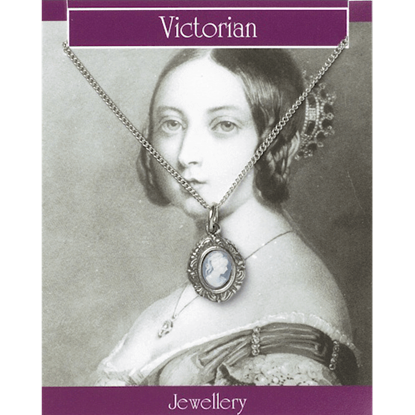 The accessory comes attached to a full-color information card that features historical information on Victorian era jewelry. Modeled after the jewelry of the Victorian age, this Pewter Victorian Ring would have been a common sight on even middle class citizens. This ring comes in a blister pack, attached to a card with information about Queen Victoria.